If you have any bugs or glitches, please post them here so that Hutch Games can fix them in the coming updates. This happened after when I achieved the 'Crowd Pleaser' Award. It was stuck like this until I went to my garage and back here, then it went back to normal. Thanks for reporting this one. Brutal is still often possible. Might be worth dropping down classes to keep farming a bit more. It is WWE class. Dropping down a class is not an option as the lower classes do not give WWE money. Do you have multiple WWE trucks? If so it may be that those events spawned against the first truck you had loaded, which judging from that screen is likely to be higher rated than your other WWE truck. 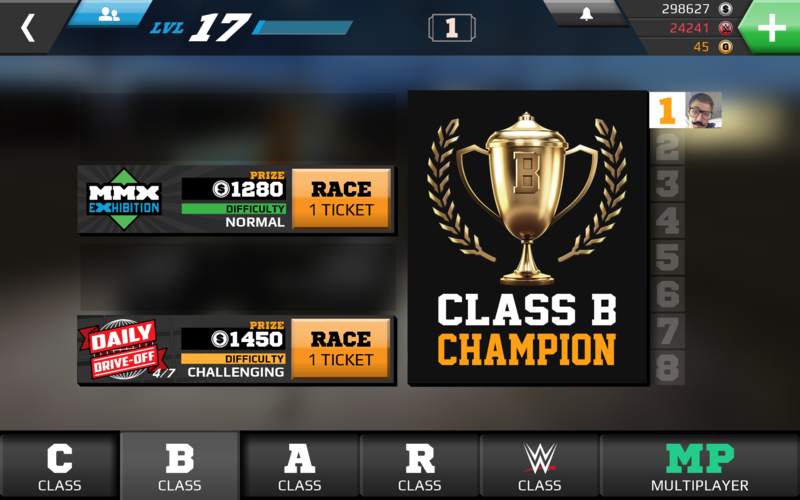 When that happens you should be able to work around it by selecting the lower rated WWE truck, closing the game down completely, re-opening and accessing the event screen. That should then load in events appropriate to your current truck rating. The game has stopped working on my iPad. I try to sign in and it immediately switches me to the home screen. I have tried closing the game and restarting, nothing has worked. Hi Aendery2k, I have replied with some suggestions of how to fix in your other post.